Every year since 2006, on the occasion of World AIDS Day, CRH launches an awareness campaign on the use of condoms called AIDS IS NOT DEAD. Also this year, until the end of December, every salon in Italy and abroad will distribute the CRH CONDOMS with the aim to raise funds for LILA, the Italian League for the Fight against AIDS. The AIDS IS NOT DEAD campaign, this year produced by photographer Roberta Krasnig – Rome, has become a flagship among the Contestarockhair initiatives over the years and the collaboration with LILA formalizes this initiative. Born as National non-profit organization, LILA is recognized worldwide since 1987 and is at the forefront on the issue of HIV prevention as well as one of the first to talk about condom on Italian media channels (tv, web and newspapers). It deals with the prevention against the spread of HIV and provides support to people affected by HIV or AIDS, their families and all those involved. LILA protects the rights of people with HIV or AIDS, develops awareness campaigns and education health projects addressed to the entire population and promotes a culture of solidarity against all forms of intolerance and social exclusion. 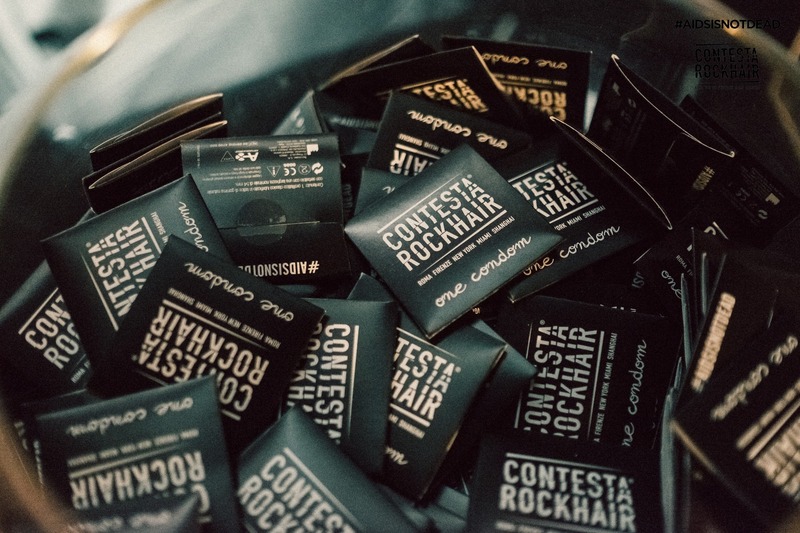 During the entire month of December, “1 Condom = 1 $”, is the minimum bid suggested by Contestarockhair to support LILA. All the people who will contribute to the fundraising will be also invited to CRH PHOTO CALL, in order to be AIDS IS NOT DEAD testimonial. To avoid infection from sexual diseases, condoms remain our only ally. Unfortunately, the question is not so simple: cultural barriers, prejudices and misinformation make the condom still a taboo. Therefore, this campaign gives us the chance to see how free we can be through the naturalness of a gesture that can be part of our intimacy.